It’s part of New England lore, the murderous woman. Whose records, the Connecticut Supreme Court ruled yesterday, will remain sealed, because the records were created while she was a patient at what’s now called Connecticut Valley Hospital — a psychiatric hospital. No matter that Amy Archer Gilligan has been dead since 1962. No matter that her only child has been dead since 1968. No matter what the records say. No matter what kinds of records they are. Even administrative, billing, and dental records are to remain sealed. 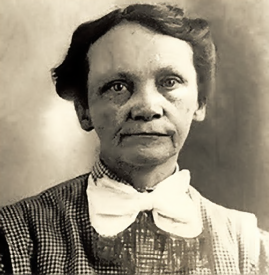 All because of the kind of patient Amy Archer Gilligan was — a psychiatric patient. It’s long been said that hard cases make bad law. Nobody disagrees with the notion that psychiatric patients must be free to disclose anything and everything in the course of their treatment if that treatment is to have any hope of succeeding. The precedent set by this decision in this hard case makes for bad law — bad in Connecticut, bad anywhere. When the reasons for sealing records no longer exist, keeping them sealed just because is a bad decision. It may well be that, in this case at this time, the public interest in the records was due to mere curiosity. The action was brought by Ron Robillard, an East Hartford author writing a book about Gilligan, and not by a descendant or family member interested in family medical history. But the rule will be followed even when the case does focus on a descendant or family member interested in family medical history. My great, great, great grandfather was declared legally insane in the spring of 1855, at the age of 39 in Montgomery County, Ohio. He died in Apr 1855. He left no will. Although I was able to see the widow’s support (which luckily names his children) I could see nothing else because of his being declared legally insane. Go figure! These kinds of “lock them up forever” rules make no sense at all. Really sorry to hear you couldn’t get the rest of the records. While I share the Legal Genealogist’s dismay, and certainly the dismay of author Ron Robillard, you mentioned but did not expand on the fact that the Judges were ruling on what Connecticut law says. If this is what the law says, then I don’t know the Supremes could have ruled otherwise unless they are also in the business of making statutory law. Perhaps this is a law of unintended consequences, and the Connecticut General Assembly could be persuaded to revisit this provision. There was more than enough room for interpretation in that statute, particularly in light of the competing interests of the other statute. The Court majority chose the easy — and wrong — way out of the conflict. It can be corrected by the Legislature for sure, but the initial responsibility was with the Court — and it blew it. Sadly with the advent of the Hipaa laws, records from many insane asylums/mental hospitals are now almost impossible to get. I am friends with the historian for my state’s department of mental health and he has all kinds of issues with record access. Even the confirmation to a person that they were born at the mental hospital can be blocked. The records of people that have been dead more than 100 years are still considered private. The only way to confirm that someone was a patient at our local mental institution is to hope they show up in the census which lists all patients by name at least through 1940. The privacy rule under HIPAA, however, was amended and now only affects records if the person has been dead less than 50 years. The big roadblock these days is state law, not HIPAA. I get requests from relatives for records from inmates at the Eastern Washington Hospital for the insane fairly often, and like Connecticut our Washington records are sealed forever also. They even had a cemetery on the grounds and for years would not even let you find out if a relative was buried there, but the state cemetery board got the law changed so the records of who is buried in that cemetery are now open and the relatives can have a stone made and placed instead of the small numbered stone that is there now. I have found some records for the inmates, but the relative must access them in person. So glad at least the families can mark their loved ones’ resting places. I guess the state laws in Alabama are more relaxed because I received a copy of the complete file for my grand aunt from Bryce Hospital. Even though I’m not a direct descendant the process for access was quite simple and it didn’t cost me anything. Every state will be different in the approach it takes to these records. I don’t want to erect barriers around the practice of historical research, but it is perhaps necessary to define how modern records should be used, while preserving anonymity. The legal limit for open access to political, medical and legal records will vary from one jurisdiction to another. Equally, copyright or the stipulations of a bequest may impose limits. Would we really want to abandon the rules, discarding expected commitments and discouraging future donors? Release of documents to a biographer opens the proverbial can. In the case of institutional records such as these, I would suggest that the only proper use is for someone writing the history of a cohort of patients or staff to negotiate the terms for exceptional access, which would include complete anonymity until after the due date. Describing Mr Ron Robillard as “an author” is perhaps a bit of a stretch. He is a former local journalist who is writing his first book. Your response ignores the fact that these records relate to a person who is deceased who doesn’t even have living children who could be impacted. No use is permitted of medical or psychiatric records during a person’s lifetime, unless that person agrees to disclosure. After the person’s death, however, the interests of others begin to outweigh the interests of the deceased. Whether the others have ever written a book before or not. The documents of a mentally ill patient can say unflattering things about other people – sane and not-so-much – who are still living. Even if we accept your position, Judy, they should have provisions for redactions of names of (at least!) the living. But of course — that goes without saying. And remember that the records at issue here were not the psychiatric treatment records. Those may be subject to very strict scrutiny in terms of disclosure and redacting references to anyone who might still be alive would be essential. Judy, I agree with you. I fenced with the Western State Hospital in Staunton, VA for a while about the records for my great-great-grandmother, who died there in 1861. I was so happy to find out that the state archives had the records. They have a 75 yr restriction during which the records are only available to the patient or immediate family, but after that they’re archival. I believe that a reasonable time period for restriction is appropriate, but restricting them in perpetuity means that a potentially valuable resource is lost. Keeping this information secret forever is just plain wrong. I understand the need for many years of confidentiality — but for heaven’s sake — your ancestor died in 1861!! !